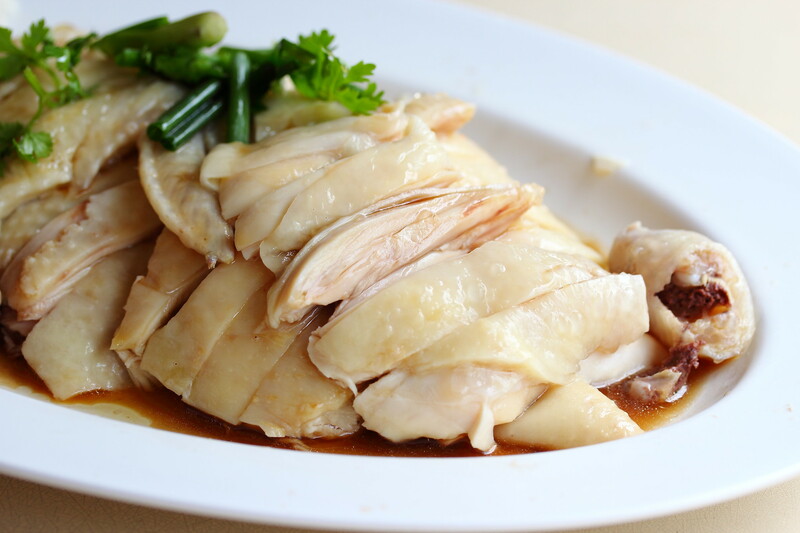 Words have gotten around the foodie circle that there was a very good chicken rice stall located all the way at some ulu place called Choa Chu Kang Crescent. 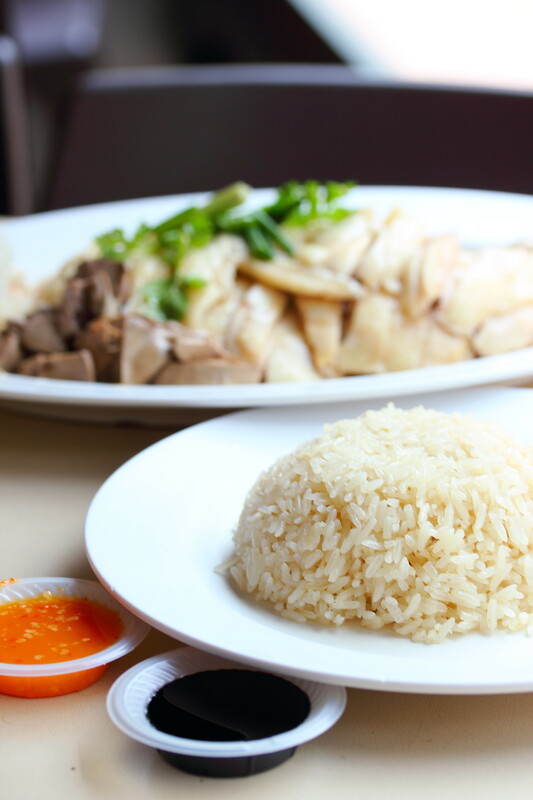 Even celebrity chef, Eric Teo mentioned in his facebook that this is one of the best chicken rice in Singapore. Even the stall gets the stamp of approval from the Food Intelligence Network (FIN) agents. The more I need to go down to Ah Boy Chicken Rice located in V6 Food Court at Choa Chu Kang Crescent to try the chicken rice for myself. I ordered a plate of half chicken so I can get to try the various parts to determine the cooking skill. I would gladly said that the chicken was cooked to perfection. 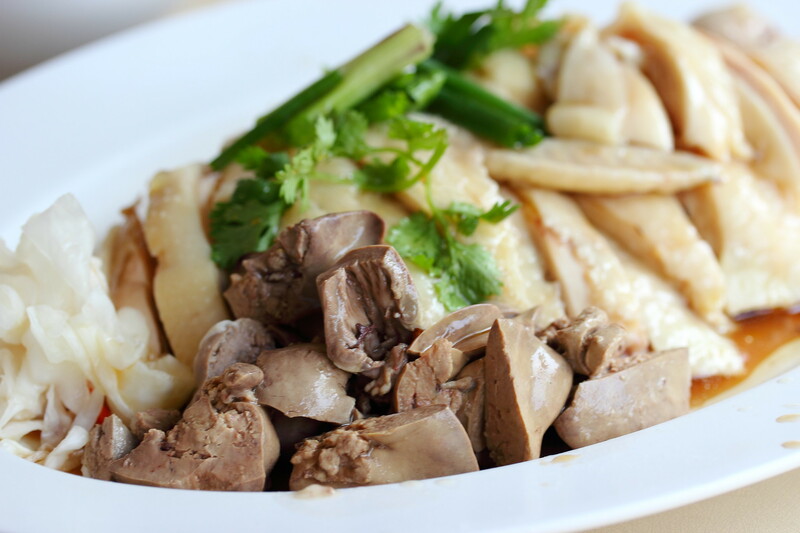 The jelly-like skin, the soft and juicy meat. Nothing much I can pick on. The light drizzle of the soy sauce did not over shadow the flavour of the chicken but give it a slight lift in flavours. I enjoying eating innards, especially chicken liver. It was properly cleaned so it did not have that gamy taste. The rice itself was fluffy and loose, which also comes with a nice aroma probably from the use of chicken oil. The chilli sauce I found it a bit watery but does have a sharp finishing. 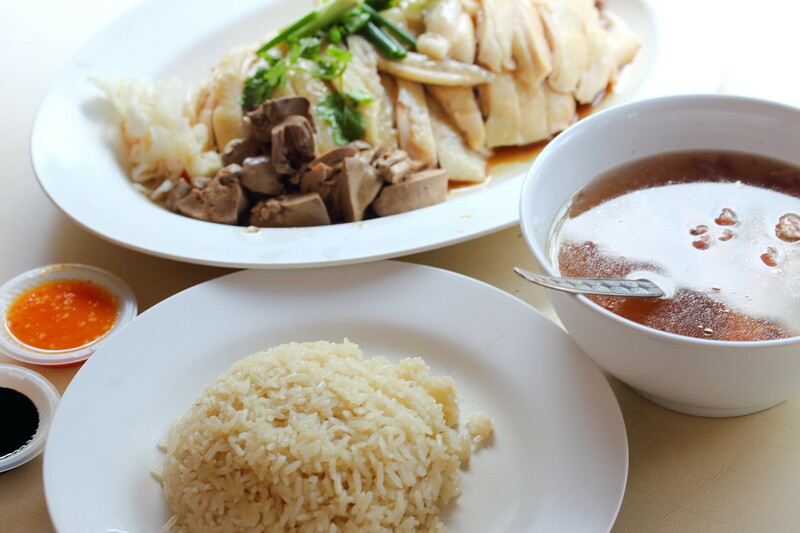 The great thing about Ah Boy Chicken Rice is the chicken rice comes with a good bowl of soup. 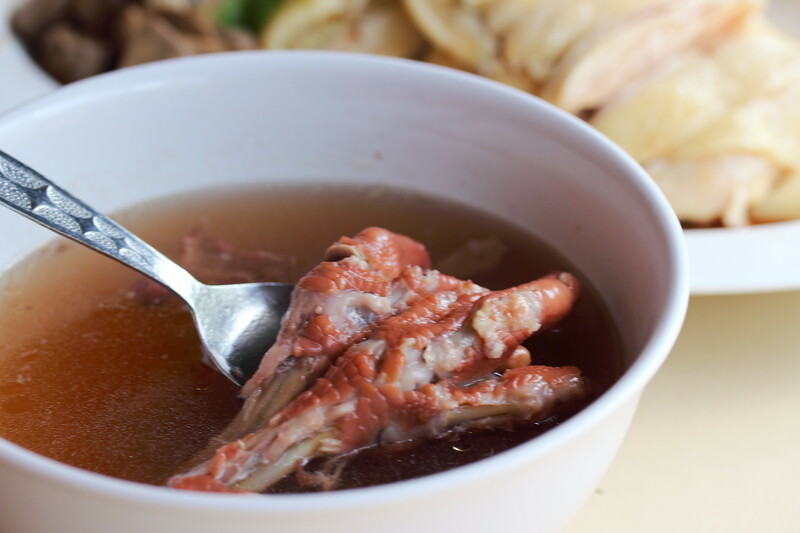 During my visit, I had the chicken leg soup. I can taste the natural sweetness from the hours of boiling the ingredients. A welcoming gesture to wash down the greasiness. The soup served each day is subject to changes. Indeed after trying Ah Boy Chicken Rice, I agreed on the stamp of approvals from the foodies kaki. 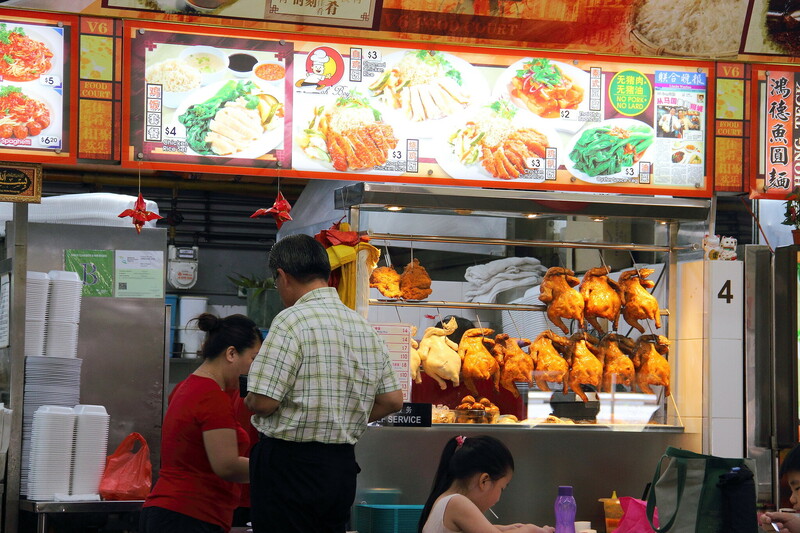 No wonder it is one of chef Eric Teo's favourite chicken rice stall. This is definitely a hidden gem unearthed by the food lovers and sharing it with the masses. Thanks for discovering the stall and allowing me to share it with my readers.